It is 82 degrees with 95% humidity here today. And it is December!! So needless to say, some peppermint ice cream would actually make a pretty appropriate Christmas treat for us tonight. And to top it off, Beth has a tutorial for these cute sugar cone Santa hats that make it even more festive! 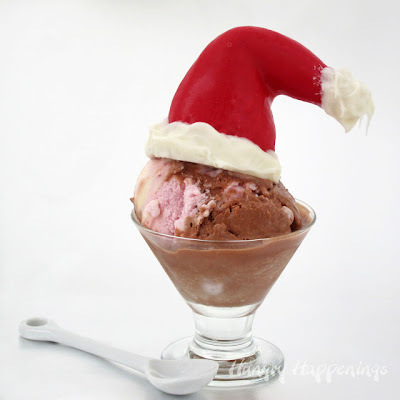 You can find out how to make sugar cone Santa Hats over at Hungry Happenings.